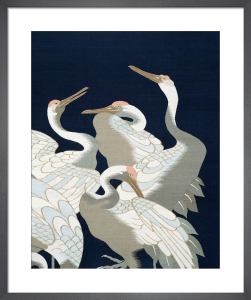 Ukiyo-e artists such as Utagawa Kunisada and Ande Hiroshige feature prominently in this range. 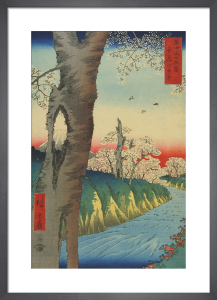 Ukiyo-e translates to 'pictures of the floating world,' thus it is not a style attempting to capture a realistic depiction of the world. 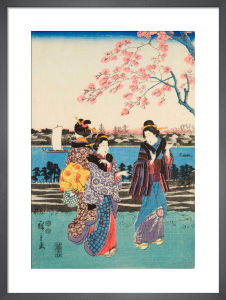 Rather it offers us an ideal of the perfect world, reminiscent of our own, but removed of all flaws. 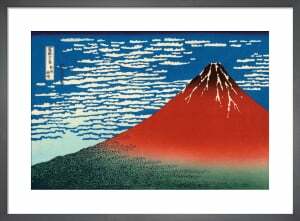 With the work able to be mass-produced through woodblock printing it represented a genuinely popular art movement with works able to be owned by all sections of the population. 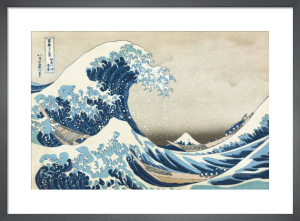 Most recognisable amongst these works are those of Katsushika Hokusai whose 'Great Wave of Kanagawa' saw the style gain success further afield as world audiences began to pay attention. 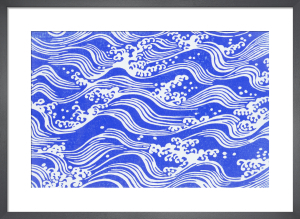 Besides ukiyo-e art you'll also find brilliant poster art and calligraphy in our collection of posters and prints.